The drowning of 17 people in Missouri is now raising questions about the safety of duck boats at tourist sites across America. Two duck boats were on the lake outside Branson when a fierce thunderstorm swept in. Video from one of the boats shows the captain and a tour guide struggling to control the vessel in the swell. Fortunately, that boat reached shore safely. But another duck boat capsized with 31 adults and children on board. 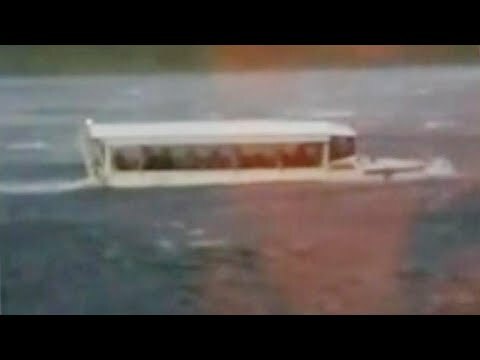 It’s by far the worst disaster involving duck boats.